Business may be the driver of the economy, but education is the source for innovation. It is where green minds come together with bright new ideas and ambition to achieve greatness. But in order for them to grow and become the next generation of leaders, one must first nurture them, provide them with the necessary environment to foster inspiration, creativity and responsibility towards society. This is where we come in – the companies, the municipality and of course the universities. We have to put our own interests aside for a moment, even for just a day, and consider the development of our community. 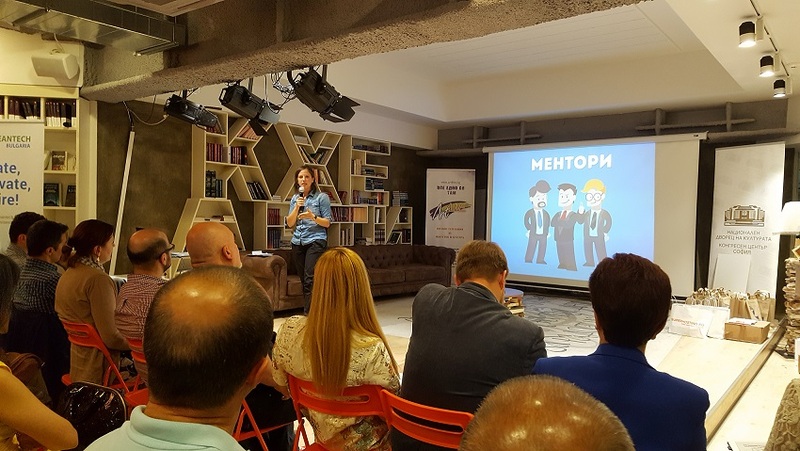 For a third consecutive year the Innovation Starter Foundation with the support of Sofia Municipality organized an “Academy for Innovation” accessible to any university student in Bulgaria. However, to shake things up and start thinking outside the box, this time around the event took form of a 24 hours hackathon. The three main topics to consider were Education, Healthcare and Cultural and historical heritage. The task of the students involved developing a demo or a prototype of their own unique product or service and then presenting it with a credible business plan in front of the jury. Sixteen teams of university students accepted the challenge to work until exhaustion and find solutions for some of Sofia’s biggest flaws, having as their secret weapon mentors from the business sector like our very own COO at Imperia Mobile, Radoslav Gaydarski. And the winners of the hackathon will then have the opportunity to see their project to fruition with the help a 10 000 BGN cash prize as starting capital. “Sofia is great!” This was the slogan of the event, although truth be told, Sofia is almost great. The city still needs help from young creative minds to find the essence of what makes our capital so amazing. The main purpose of the hackathon was not to solve its problems, but to provoke the next generation to take part in building a city, which they will be proud to call their own. A major role in this awakening took the guidance of 16 mentors, volunteering to participate and tear themselves away for one day from their busy work routines. Each one of them shared their specific skillset to help the teams progress with their concepts in terms of product development, business planning, marketing and ultimately project launch. The end results of this joint effort between students and professionals brought about some extraordinary ideas how to improve the experience in Sofia not only for its inhabitants, but for all the world to come and see. #1 For first place and worthy of the grand prize was recognized team “Elmo” from New Bulgarian University. For the short time of 24 hours they managed to develop a prototype of a mobile application called “Your Sofia” capturing perfectly the point of the whole idea behind the Innovation Hackathon. They successfully identified the missed opportunity for temporary inhabitants and tourists to discover and experience the city like any other local. 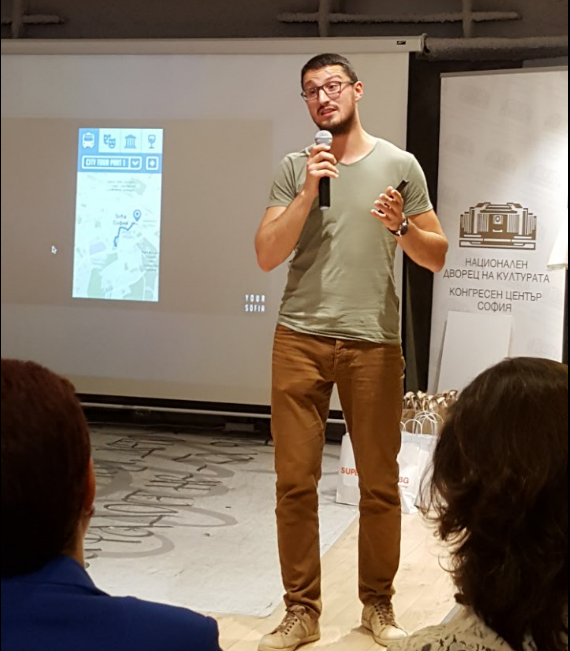 From historical landmarks and cultural meet-ups to transportation guidance and assistance, the app aims to provide anyone visiting Sofia with the necessary information to be self-sufficient and prepared. Their idea was inspired by their fellow Erasmus classmates who find themselves lost in the vast see, called Sofia. The idea is certainly ingenious, but it will require a lot of development effort and resources for marketing and promotion. Nonetheless, if the team managed to create a MVP for just one day, we are optimistic that their ambition will bring the project to fruition. Thanks to “Your Sofia” foreigners and visitors will be able to explore freely the city’s urban space and help us rediscover the identity of our capital. #2 The second best idea to resurface came from a group of students from Sofia University “Saint Klinemt Ohridski”. With a catchy name like “Sportify” they decided to turn their attention to the topic of healthcare and active urban lifestyle. Their solution came inin the form of a web platform for discovering all sort of sports clubs and events in which people can participate. 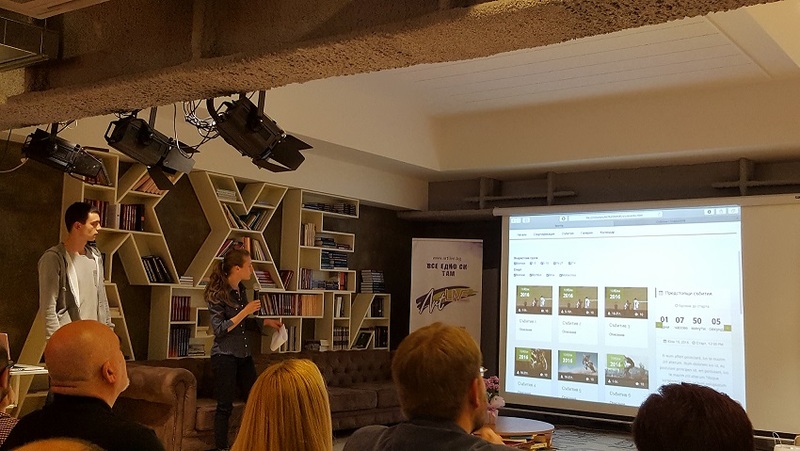 Their demo of a MVP included a calendar for sporting events, a list of different activity centers for dancing, exercising and doing sports, and a blog where users can share experiences and recommend approved places. The idea is not half bad and quite easy to realize from a developers point of view, however, what it lacked was a precise marketing strategy with a concrete target audience. Everybody wants to be more active, but few people are actually keen on doing sports and exercise. The key solution to this problem is not so much finding a way to connect people with sports opportunities, but rather how to engage them in an active lifestyle. #3 And the third best idea for improving Sofia, which was recognized by the jury, originated again from New Bulgarian University by a group of marketing students. They touched the topic of education and came up with a business strategy how to encourage students to pursue a most suitable career path. Although the educational system is a tricky subject and susceptible to many deformations, the team believes they have found a sustainable solution for students’ reluctance to study and find their dream job. Inspired by their own mentors on their side, the marketing team decided to develop a business plan for introducing a “Mentor” program in the last two years of high school, which aims to help students decide on the right career path for them before having started university. Their MVP included specialized tests to find specific job interests and then inviting volunteers as mentors from various professional fields to spark enthusiasm and share experience. The concept is indeed visionary and altruistic, however, highly difficult to implement given the complexity of educational reforms and government hindrance. But what really put off the jury from voting up the idea was actually the lack of clean concept and defined product. Although unrefined, all of these ideas sound great and we are proud to have been a part of their conception. We believe Sofia truly is a great place to live and what the Municipality, the business and the citizens should do is unite to bring around positive changes to our city’s identity on the world map. That is why we agree that first place should go to project “Your Sofia”, so let’s wish good luck to the winning team and hope for a successful launch of their mobile application.